Generative collaborative experiences require strong infrastructural support—both material and immaterial. This post details the sequence of assignments leading up to a collaborative website project at the end of a basic composition course. Figure 1. 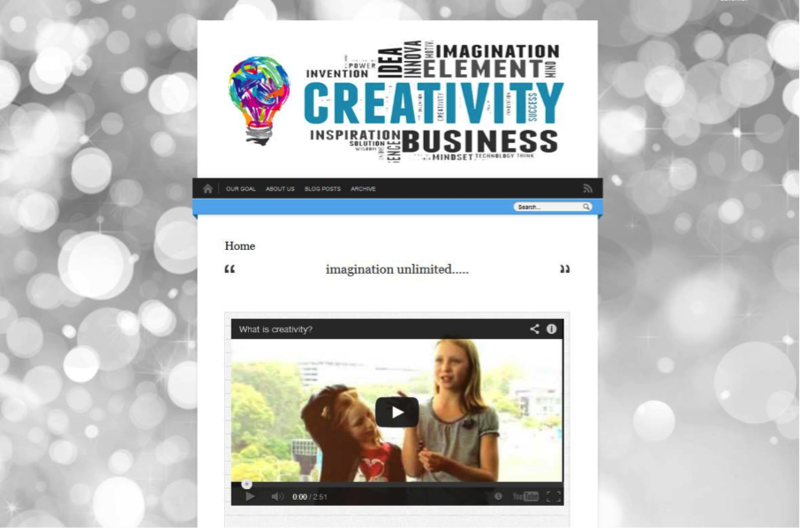 Final Project: Collaborative Creativity Website. Logistically, this assignment took up about four full class periods, though our conversations about websites spanned the last three weeks of the semester. I booked a computer lab for two of these classes, during which students used the entire class period to work on their group websites. Throughout the semester, students familiarized themselves with the blogging and commenting functions of WordPress (more specifically, the version hosted by Queens College, “Qwriting”). This final website project, however, challenged them to transition from adding content to our course blog to setting up their own site. Students were placed into groups before we transitioned from their research papers to website projects so that they could become familiar with what their group members were working on. 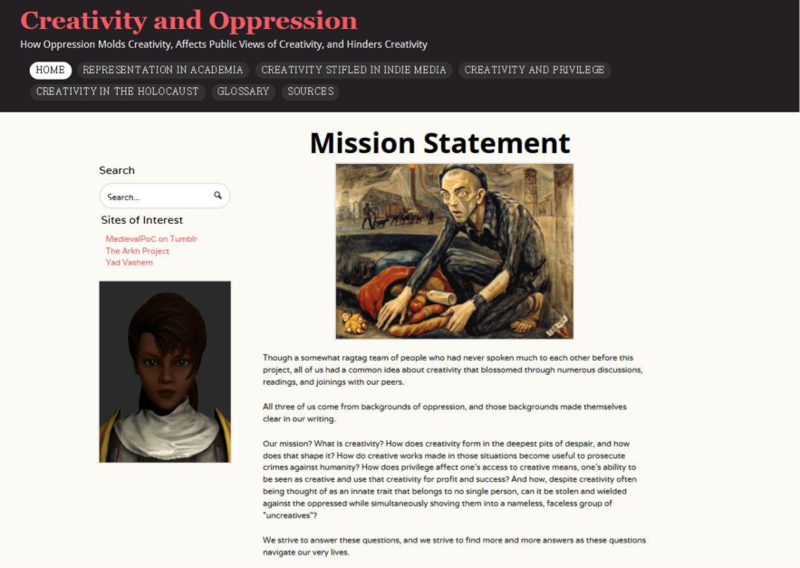 For example, the group “Creativity and Oppression” contained students researching children’s art in ghettos and concentrations camps during the Holocaust, creativity and privilege in education, and the appropriation and theft of creative works produced by people of color. The other groups—Dreams and Creativity, Creativity and Writing, Creativity and Business—reflected themes that emerged through course readings and conversations. The groups helped students mentor one another through the writing process and encouraged them to identify points of intersection and divergence among their projects. Some groups shared valuable sources they found through the library’s catalogues and databases. On the day that the final drafts of their research essays were due, they brought in copies for everyone in their group. As we transitioned from research papers to website projects, their homework was to read each other’s final drafts and come prepared with ideas for presenting them on a website. In addition to strengthening their collaborative skills, I wanted students to think about the social and public impact of research. We brainstormed who their possible audiences might be, why they might come to a website about creativity, and what they might hope to get out of it. Since their final research papers provided the majority of the content for these websites, much of the website work involved translating between “rhetorical situations” (see Purdue OWL): from an academic essay to a collaborative website. And they were no strangers to the difficulties of translation. 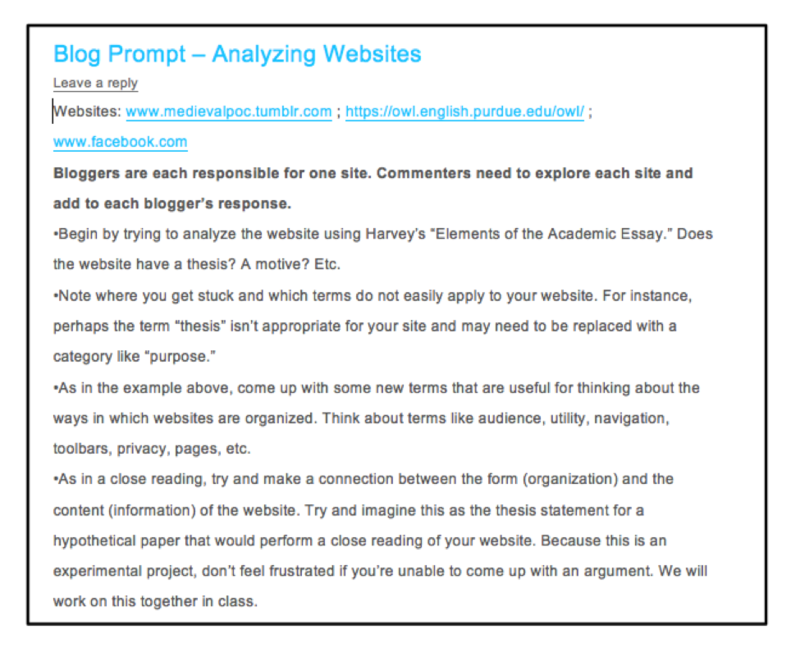 One blog prompt designed to initiate a conversation about websites as rhetorical situations asked students to “translate” Gordon Harvey’s “Elements of the Academic Essay” in the context of the internet. Students rose to the occasion of this admittedly experimental assignment with aplomb. Figure 2. 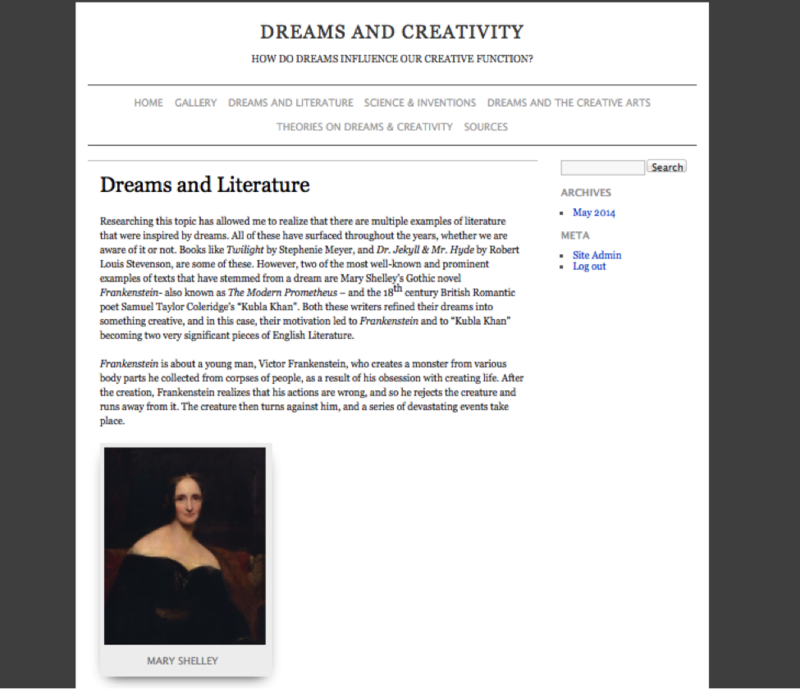 Blog Prompt: Analyzing Websites. Their responses to this assignment and the more general question, “What makes a good website?” became the fodder for the rubric we designed. Before crafting a rubric we looked at these slides that demonstrate the basics of creating a site using WordPress. Much of the content is drawn from helpful blogs about WordPress and the Qwriting help site. They reflect my own limited knowledge of the platform’s capabilities, though learning so much more about WordPress from my students was one of the great unforeseen benefits of this assignment. The website project also allowed us to continue our conversations about the importance of proper citations through a discussion of fair use policies. Figure 3. Drafting a Rubric. This activity allowed us to talk not merely about meeting an assignment’s requirements, but about the pedagogy that animates them. 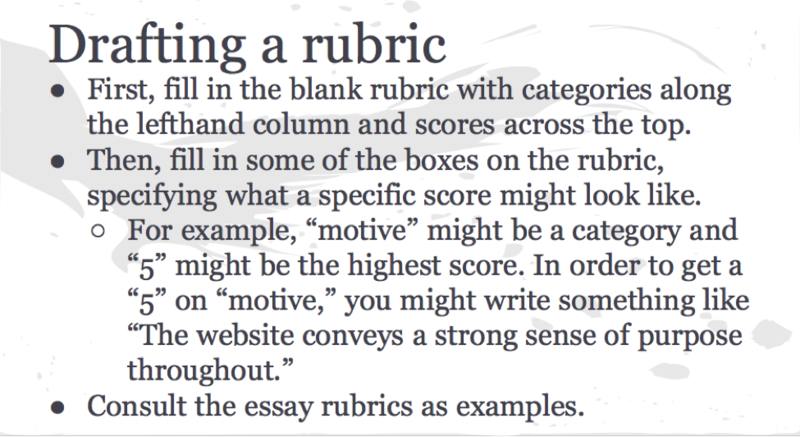 I encouraged students to consult the rubrics I used to grade their close reading and comparative essays for examples of the kind of language they might want to include. 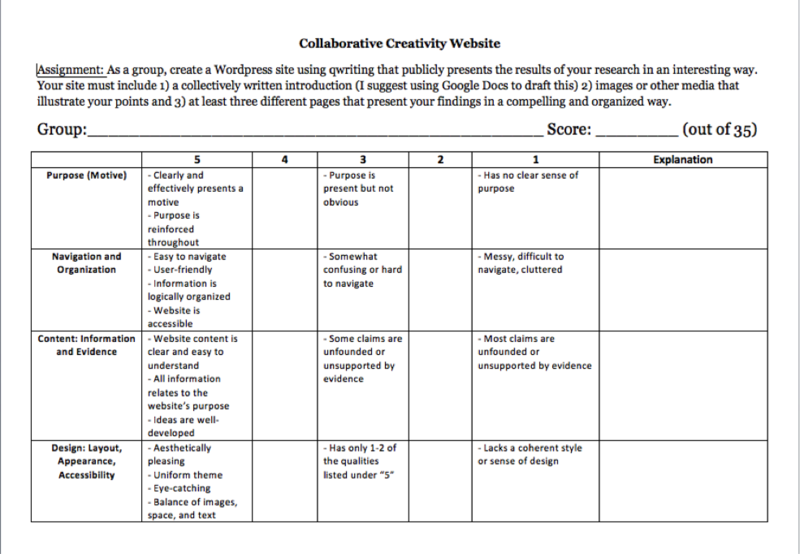 After they had filled out rubrics based on their understanding of what makes a good website and what a platform like Qwriting allows, we tallied their results and combined some of the categories to produce a rubric that we all agreed upon. Figure 4. 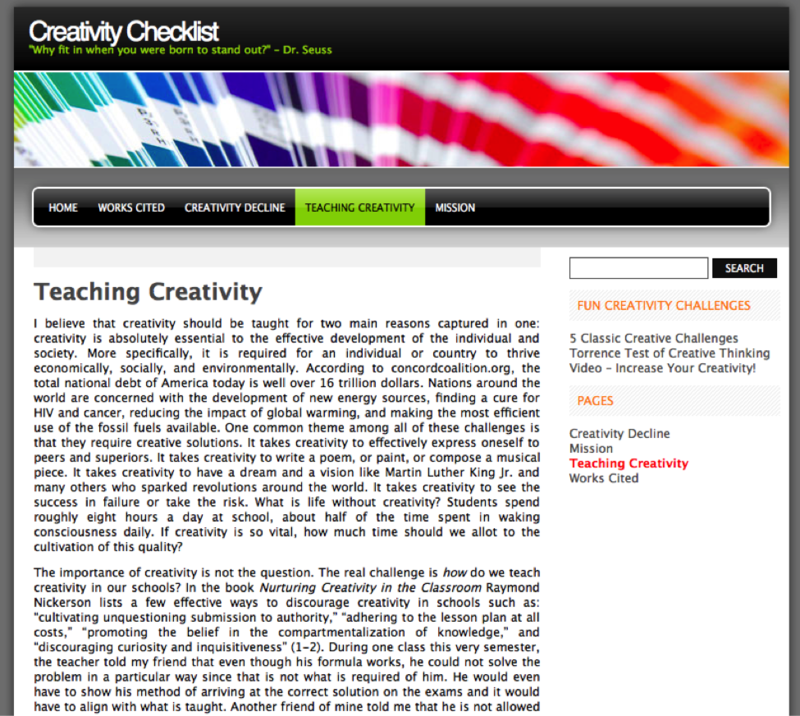 Collaborative Creativity Website. Figure 5. Collaborative Creativity Website. Once the rubrics were ready, we spent two class periods in the computer lab working on their sites. During these classes, we discussed how each group was dividing up work (was one person in charge of images or was each person designing their own page? how were citations being handled?). Often, students would share what they were learning and help one another solve technical issues. After each presentation, students handed in a rubric with scores and explanations, which I later tallied to assign a final, overall grade. Although they were tough on each other, they provided specific examples in the “explanation” category of the rubric to support the scores they awarded. This project worked well as an extended application of a final research paper. Students who hadn’t participated much during the semester became some of the most vocal and outspoken contributors to our conversations about websites as rhetorical situations. During these weeks the class became even more student centered, as those with advanced knowledge of web design were able to instruct the rest of the class, myself included. Figure 7. Website by Yonatan Arnon, Nikkia “Rook” Hanson, and Rebecca Rich. Figure 8. Website by Corey Goldman, Stephen Lau, and Ronen Shahkoohi. Figure 9. Website by Riddwan Alam, Youlhuy Sung, Paula Volos, and Xian Zhong Zheng. Figure 10. Website by Joseph Haynes and Zainab Kalair. Sincere thanks also to my awesome students for allowing me to share their hard work. 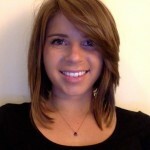 Danica Savonick is a doctoral student in English and a research fellow with the Futures Initiative at The Graduate Center, CUNY. Her dissertation explores how aesthetic pedagogies can address conditions of neo/liberal racial capitalism and materialize social justice. She is a graduate teaching fellow in the English department at Queens College, where she teaches courses on U.S. literary and cultural studies. Her article entitled “The Problem of Locomotion”: Infrastructure and Automobility in Three Postcolonial Urban Nigerian Novels” will be published in Modern Fiction Studies’ special issue on “Infrastructuralism” in Winter 2015. Fantastic project and excellent breakdown of the pedagogy. I am all for students becoming masters of their own domain interns of incorporating technical knowledge in the classroom. I myself do my best to remain teachable and learn from and with my students at times too. I do take issue with the use of the phrase “student centered” when used in connection with students taking on this role of teacher. Could you elaborate on how you define student centered? Hi Silas. Glad you found this assignment helpful! I’d love to hear what phrases you prefer to use to describe pedagogy instead of student-centered (which often becomes a catch-all, ambiguous, ill-defined term). I try to use it sparingly, and instead describe my pedagogy as “collaborative” and oriented towards equality and social justice. In this case, I’ve used it to describe the background, facilitator role I was able to take on as students took ownership over their final projects. Each class became more about their projects and their feedback on each other’s work, and I was there simply to guide them in the process when they got stuck.